I have recently made a discovery, and since it's miniature in nature, I wanted to share it with you all. 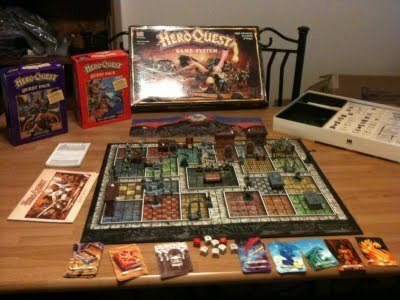 Anyone who is an older geek, of one of retro lore, will remember one of (if not THE) greatest board games ever, Hero Quest. I stumbled upon Hero Quest towards the holidays of 1989, the year it came out. I was doing one of my weekend toy runs. A pal and I would spend every Saturday driving from Poughkeepsie, NY to the Danbury Mall in CT (Was WAY better back in the day), to a few small toy stores along the way back to the Jefferson Valley Mall, and then making our way home. All the while, we were action figure and game hunting... with much success! This, as you must understand, was ritual for us since we obtained our licenses in the summer. We had out freedom, we have paying jobs, gas was like $0.75 cents a gallon, and most importantly, the Jefferson Valley Mall had one of the most absurdly good pizza joints to close the afternoon. One afternoon, at one of the smaller shops along the way (there were three we'd hit) we were looking at games and one of the clerks we knew said "You have to try this game, it's DnD in 3D!". Well, we both hated DnD, I know, don't get me going nor don't rail on me either please. Well, it was Hero Quest. I looked cool. It was expensive, like $39 (yes, that was expensive then) but I hadn't found anything for the weekend yet and didn't think the last stop would have anything, so I bought it. 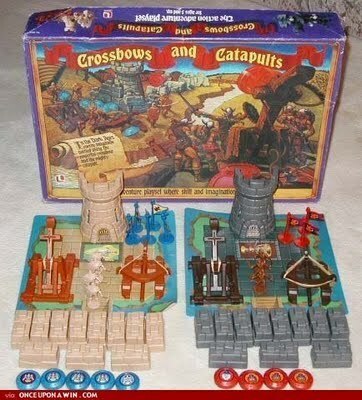 I have never been happier with a purchase, save for my still in tact copy of Crossbows and Catapults. 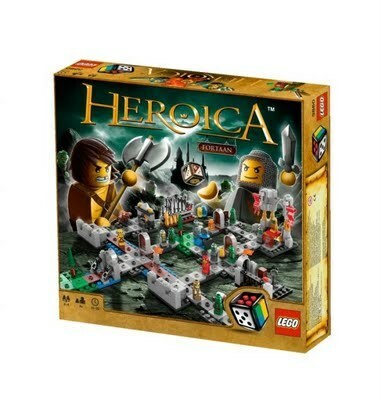 Heroica is a Lego based board game, which is customize-able and easy to learn, easy to play, and fun for all ages. We bought Castle Fortaan and Forest Waldruk for my son (who loves Legos) who just turned 6. We spent a bit of time putting them together (takes a bit since they have a lot of smaller pieces than the normal Lego games) and jumped in. 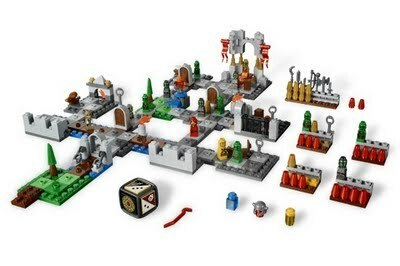 Immediately, I felt like I was playing Hero Quest with Legos. We also, after one game, were finding ways to make our own rules (which is encouraged in the game). Additionally, the games (4 in all right now) are designed to connect together for more players, and more options. There are even rules for one player being the controller of the Dungeon and Monsters, fighting the heroes! Each Hero has their own special ability, you can gain gold, buy weapons, uncover awesome artifacts (like a Helm of Protection in the Castle Fortaan), use powerful potions, as well as fight a multitude of monsters! We faced Goblin Kings, Werewolves, Forest Spiders and Trolls in our games already! Castle Fortan comes with a Barbarian, Knight, Wizard, and Druid hero. Forest Waldruk comes with a Barbarian, Druid, and Ranger. Each type of Hero has a special ability, like a Wizard can defeat a monster up to 5 spaces away while a Druid can heal to full health! Yes, you keep track of health! There's no "technical" way to die, as when you run out, the base rules say you must spend turns rolling to regain health, but you can always institute a rule that if you hit 0, bye bye. That's the most fun, is playing with the base rules, getting acquainted, and then throwing your own spin on things. For example, we added rules for being able to get an extra gold piece when defeating a monster with your special ability, or buying potions from a store, or returning your killed monsters to the starting area of the game for a "bounty" of gold. tons of customize-able fun! If you have ever enjoyed dungeon crawling, in any form, I seriously don't think you can go wrong, as everyone from ages 6 to 37 in our household loved playing these! PS - If you don't have Hero Quest, or were unfortunate enough to never have the options to play it, along with the fact that you usually can't find a copy cheap on eBay... there is always a suitable replacement called Descent and is almost as fun, with much more elaborate rules. Not quite the OG, but still as fun.